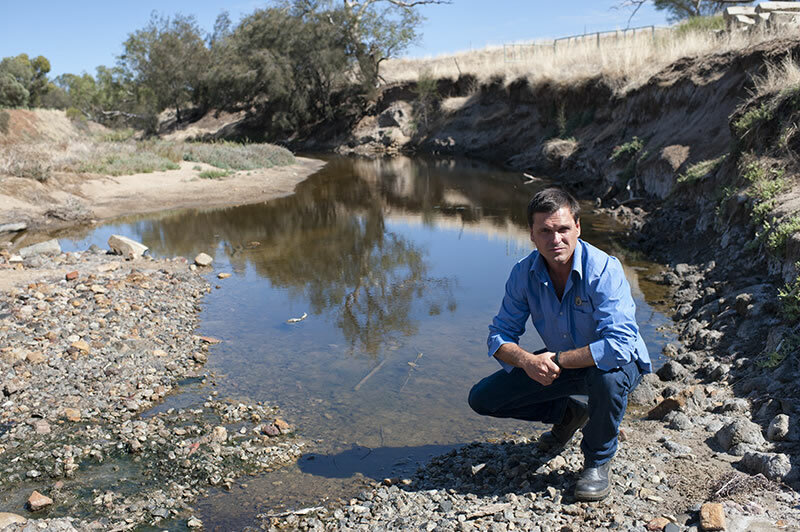 Farmers are being encouraged to take a closer look at their farming practices as new analysis revealed their continued impact on the Avon and Swan Rivers. Latest modeling from the Department of Water found on average 210 tonnes of nitrogen and five tonnes of phosphorus flow into the Swan Estuary from the Avon River annually. Broad-acre farming systems contributed 90 per cent of these nutrients. The modeling report, to be released later this month, highlights priority catchments including the Wooroloo, Brockman, Mortlock , Dale and lower, middle and upper Avon catchments. Three natural resource management groups have now teamed up to work with landholders in these regions through the Healthy Soils, Healthy River program. The project is a collaboration between Wheatbelt NRM, The Swan River Trust and Perth Region NRM. Wheatbelt NRM’s program manager for sustainable agriculture Dr Guy Boggs said help was now available for farmers and horticulturalists. “There are plenty of ways we can improve our soil health, which in turn has a direct impact on the health of our local waterways,” Dr Boggs said. “We need to start making more use of our soil tests to identify major soil constraints and nutrient requirements, which in turn can reduce the fertiliser needed to optimize yield and profit. “The modeling has highlighted the need to improve our overall nutrient use efficiency by adopting best management practice, including better using soil testing, stubble retention and optimizing our soil biology. Under the program grants of up to $2,500 are available for soil nutrient testing, modifying fertiliser practices, with a further $7,500 available for the fencing and revegetation of waterways. Grant applications close 30th March 2015 and information can be accessed at http://www.wheatbeltnrm.org.au/hshr. For more information call Wheatbelt NRM on (08) 9670 3100.